This was the view from my window this morning.. I could hardly see anything when I drove into work today.. the road conditions are so bad. I passed at least seven or eight cars in the ditch, and when I finally arrived safely at work I had to shovel the front walk so that customers could get to the door. Not that there are many people braving the weather today (smartly). Yesterday was warm and there was no snow at all. 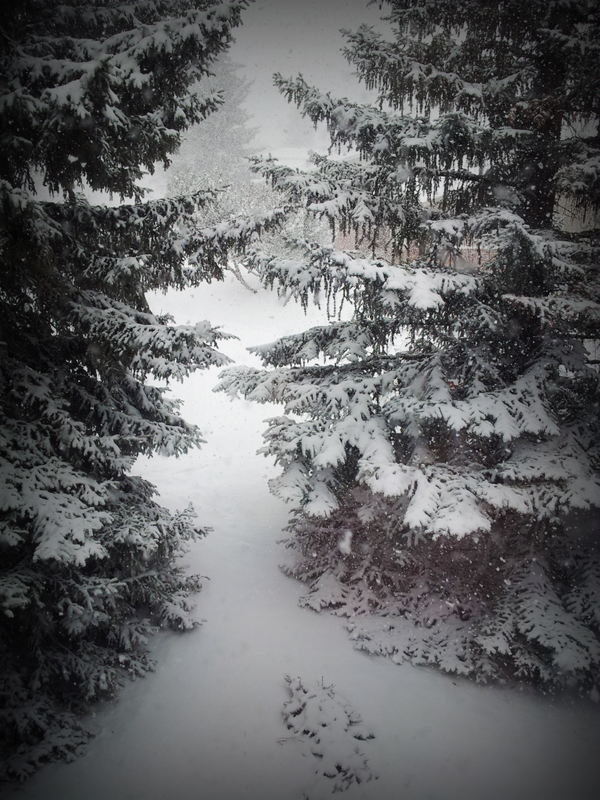 I guess this is about right for March in Calgary.